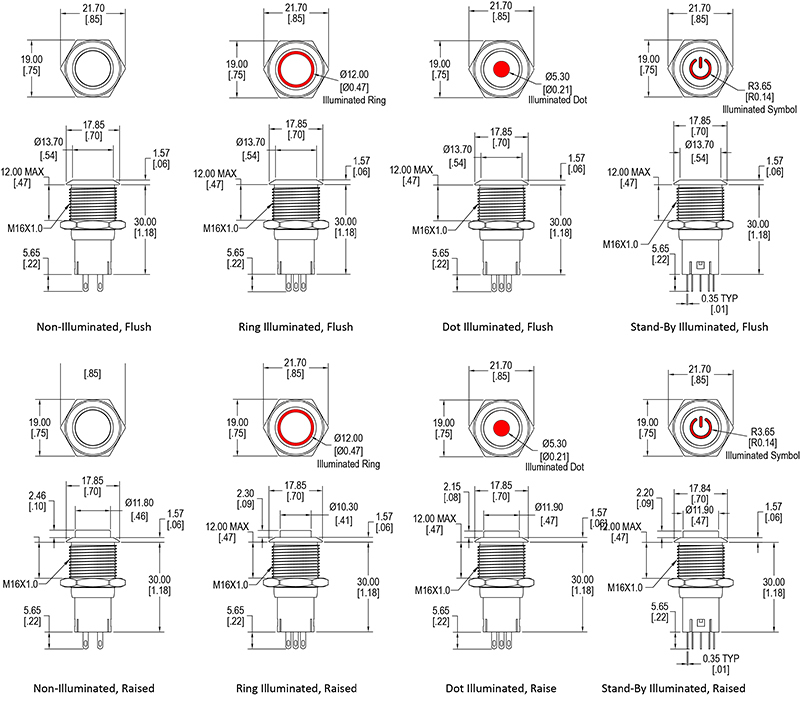 Offering SPDT or DPDT, the 16mm CH series panel mount pushbutton switch is available as momentary or latching option. Sealing options of IP40 and IP65 insure splash and vandal resistance. Actuator options include flush or raised non-illuminated, flush ring or dot illumination, raised ring or dot illumination, and flush or raised international standby symbol illumination. 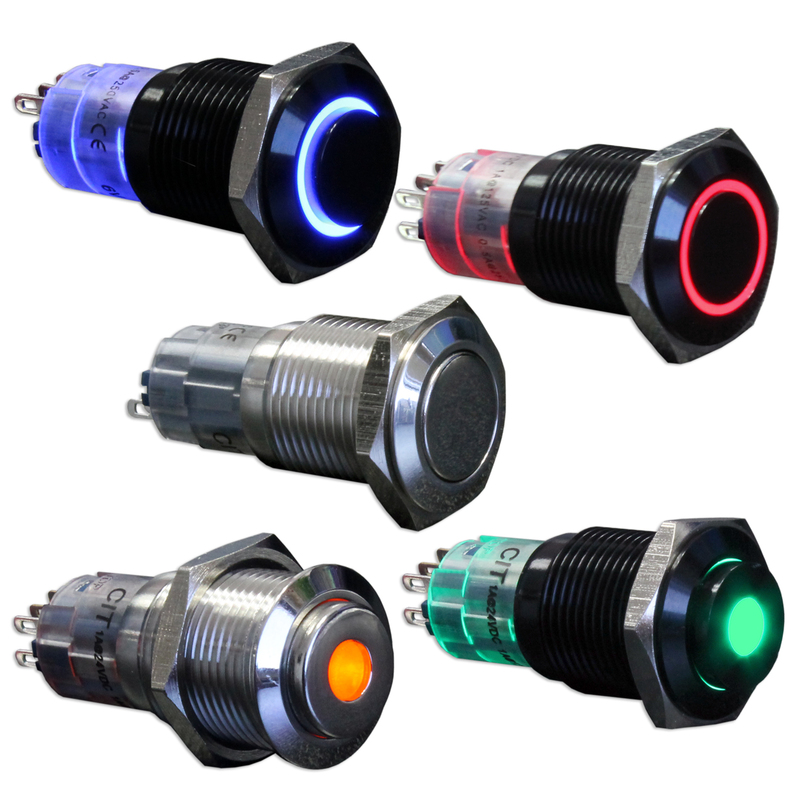 This illuminated switch is available in a stainless steel, nickel plated or anodized aluminum in black, green, red, blue or yellow switch finish. Bi-color LED switch options include red, yellow, green, blue, white and orange. Wall plates and aluminum switch housings are available for the 16mm version of this anti-vandal switch.